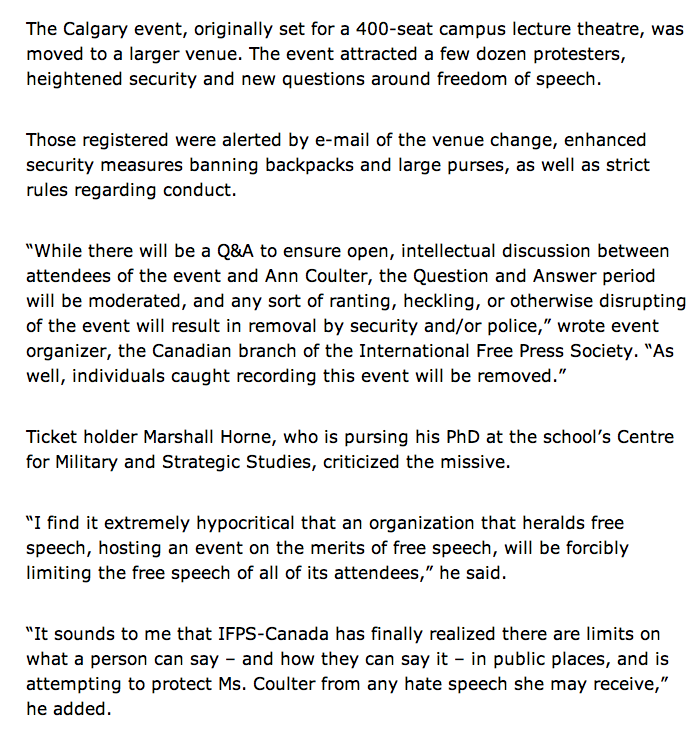 The rules laid out for attendees of the Coulter event in Calgary demonstrate who’s ‘free speech’ Ezra Levant, Ann Coulter, and event sponsors International Free Press Society are seeking to defend…their own. Levant and Coulter both hide behind the guise of ‘free speech’ to justify their slander, bigotry, and blatant racism. There is a difference between ‘free speech’ and ‘hate speech.’ Sadly, neither one of these neo-conservatives seems to be able to distinguish between the two.